I spotted this image awhile ago and instantly thought it was a Michael Furman photo. If you don't know who Michael Furman check out his website here. He is the pre-eminent automotive photographer. Amazing shots. The car itself is a very special Mercedes. 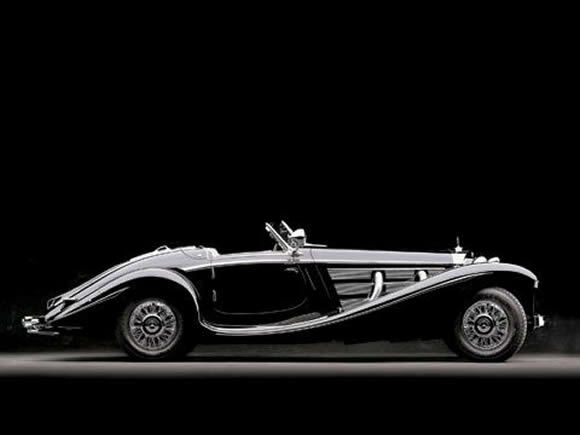 Built in the 1930's the 540K sported independent coil spring suspension, and a 5.4-liter straight eight-cylinder engine. An awesome engine, even now, it makes 115hp normally and 180hp with the supercharger engaged. Excellent. These cars can still do over 100mph. Incredible. More great info and pics here.